This giveaway ends on June 30, 2015. A random winner* will be chosen in a drawing on July 1, 2015. The giveaway is open to all addresses in the continental USA. 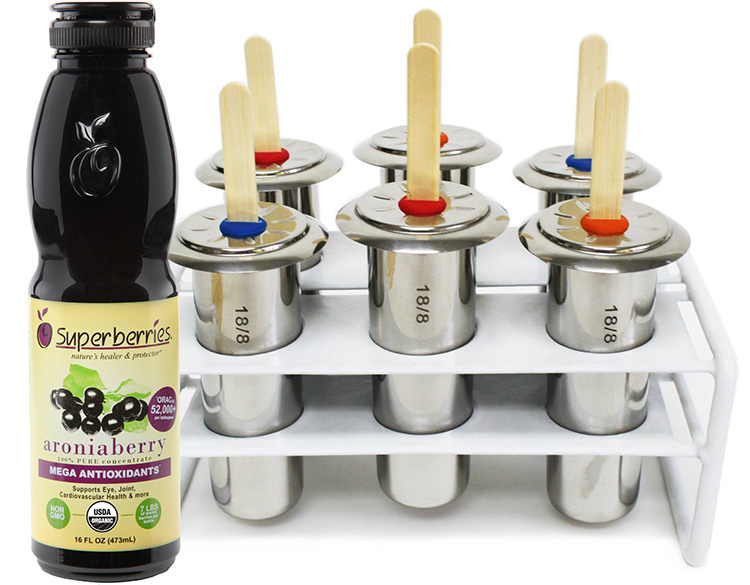 I’d love to make popsicles for my kids with the Aroniaberry Concentrate. Making healthy food from scratch is a passion of mine, knowing what’s in my food and the meals I prepare for my family is very important. Since the concentrate has such a good amount of vitC it would be great for me to take with my iron tabs! And of course the popsicle maker is just cool!